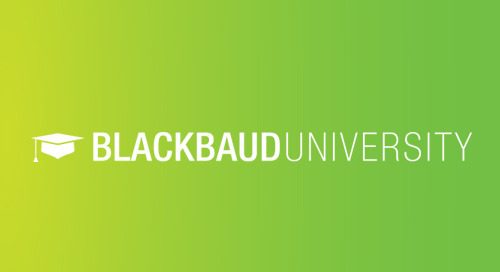 Compare your organization to other arts and cultural organizations that use Blackbaud Altru®. 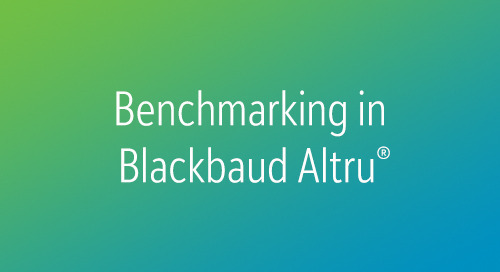 We are thrilled to offer this amazing benchmarking data to your organization as part of your Blackbaud Altru subscription. 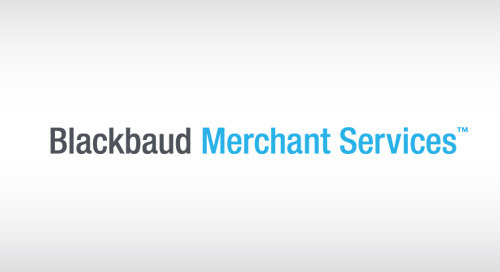 If you have additional questions, please reach out to taganalyticservices@blackbaud.com. Below are Q&As to help you get started! Q: What are the Patron Lifecycle Benchmarking Dashboards? A: This is a new analytic application developed exclusively for our Blackbaud Altru customers. It provides access to key supporter performance metrics for your organization over the last five years alongside industry benchmarks, so you can assess performance relative to peer organizations. The dashboards take advantage of the leading data visualization platform – Tableau -- to provide an easy-to-use, visual interface for performance analysis. It can help your organizations to better understand the patron supporter journey from ticket buyer to member to donor, and facilitates the discovery of new opportunities for increasing the number of supporters and the overall revenue. Q: How can benchmarking of these performance metrics help my organization? A: This new application shows performance metrics that measure how effective your organization is at bringing in new patrons, moving them from ticket buyers to members or donors, and gaining repeat gifts or transactions at higher levels. Throughout the application, you can view your trends over many years – essentially benchmarking your current performance versus past performance. You can also benchmark current performance and trends against a user-selected set of cohort organizations. Benchmarking provides important context upon which you can evaluate your own performance. For example, if your member retention rate has been increasing over the years, but is still lower than that of your peers, that could be an area with significant opportunity for improvement. Q: How were these dashboards developed? A: Beginning in mid-2017, Blackbaud Altru partnered with our Blackbaud donorCentrics team to design and develop a new system of performance benchmarking dashboards that meets the specific needs of our art & cultural customers. 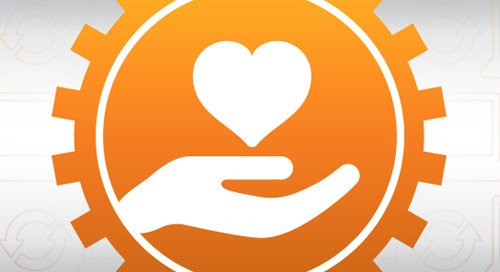 donorCentrics has been providing supporter lifecycle analyses and benchmarking to the nonprofit sector for over 25 years. We were able to take advantage of the robust donorCentrics data processing engine to provide far more than just top-line overall metrics as we know that customers need to assess year-to-year performance for specific supporter segments like ticket-buyers, members, and donors. Q: How can I access this new application? A: There is a link in the Walkme section when you log into Blackbaud Altru that will open these dashboards in any standard web browser connected to the internet. The url: https://dc.blackbaudhosting.com can also be plugged directly into any web browser. 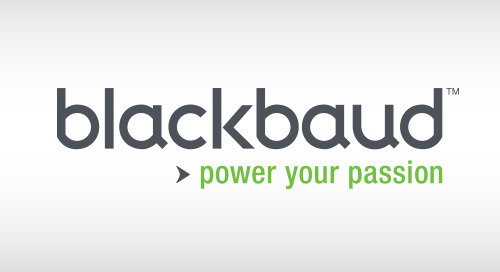 Users are then prompted for a username and password that we will supply in an email to your primary Blackbaud Altru contact. These login credentials are organization-specific and anyone within your organization can use them to access this application. Note that the dashboard system is read-only, so users cannot in any way affect or update your Blackbaud Altru system. Q: How can I learn how to use this application? A: The dashboard application has two views which can help you get started. The Introduction tab has information about the performance metrics and data inclusion rules, and the How To tab explains both how to use the filters and clickable options within each dashboard and how to interpret the graphical data visualizations. We will also be conducting webinars on how to use this new application; look for an email from us with a schedule of when these sessions will be offered in the coming weeks. Q: I find the benchmarking information useful and would like to get a more in-depth analysis in some areas, and perhaps run this on my own fiscal year. Is that a possibility? A: Yes, Blackbaud Altru customers have the option to receive our Overall Program Assessment (OPA) report based on their own fiscal year. The OPA is an even more comprehensive analysis of the trended performance of Ticket Buyers, Members, and Donors. We also include a strategic consulting review to assist your staff in discovering additional opportunities for patron and revenue growth. A complete sample OPA report can be accessed from the “Introduction” dashboard. 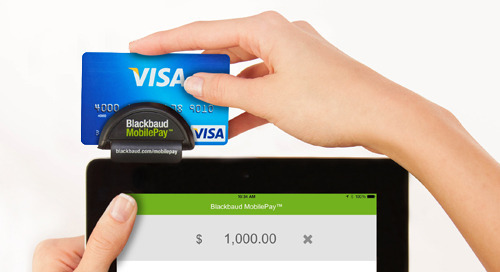 Contact your Blackbaud Altru representative for more information. Q: The performance metrics for my organization don’t exactly match what I expected. Why is that? A: All metrics were calculated based on transactional data downloaded directly from your Blackbaud Altru database. Some types of data records are excluded such as soft credits, pledges, or very large gifts that could skew year-to-year trends. Throughout the application, users can view five-year trends of donor counts. These counts may increase significantly from one year to the next if data coding practices have recently changed or if old legacy transactions haven’t been converted in earlier years. Q: Can any of my organization’s performance metrics be accessed by others outside of my organization? Only users having your unique login credentials will see performance metrics for your organization. All of the comparative benchmarking metrics are averages of data across many organizations. And we even suppress these averages from showing within the dashboards if the user filters to fewer than 6 organizations. Q: My organization has done a great job capturing ticket-buyer information and we have a higher percentage of these patrons than peer organizations. Since these patrons renew at lower rates, won’t this depress my overall patron retention rate relative to peers? A: That’s a big reason reason we show distributions by supporter types, and why we also calculate and show patron retention based on the specific supporter type: Ticket buyer, Member, Donor, Member with Donations. You can always hone in on the performance of specific constituent populations regardless of the overall patron mix. Q: I have transactions that aren’t matched to accounts within Blackbaud Altru, or lump sums that combine many legacy transactions together. Can they be included in this application? A: Only transactions recorded to specific accounts will be included in this application. If you are able to match these transactions to accounts in Blackbaud Altru – regardless of when they occurred, they will be included in the next dashboard update. Q: My organization uses different definitions for some of these performance metrics, like membership retention rate. Can these be changed? A: The definitions of some of these metrics may not match exactly what you use internally but are defined in a standard way, so they can be used for benchmarking purposes across a range of different customers. For example, an annual-based Membership Retention Rate is a solid measure of the repeat giving of members, is easily understood, and can be readily benchmarked. Q: When will I see the 2018 performance metrics. A: We plan to update the 2018 performance metrics as soon as possible after the close of calendar 2018 and after all transactions have been entered, so probably late January or early February of 2019. Following that, we will update the dashboards approximately every six months.